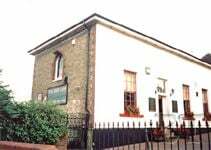 Mr John George "Jack" Phillips was born on Monday 11 April, 1887, above a Draper's shop in Farncombe Street, Godalming, Surrey. 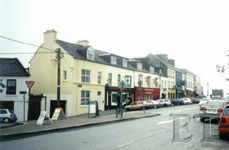 His father George Alfred Phillips ran the shop, with his mother Ann (née Sanders), for a man named Gammon who had several branches in the area. By the time Jack was born his twin sisters Elsie and Ethel were already thirteen years old. 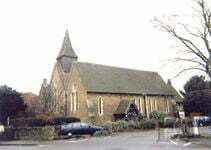 Jack was christened at the church of St. John the Evangelist, just a few hundred yards from the shop, where there is a plaque dedicated to his memory. Jack began his education at the Church School, before going on to attend the tiny local private grammar school for boys. By 1902, at the age of fifteen, Jack had finished his schooling and he joined the Post Office where he trained to be a telegraphist. 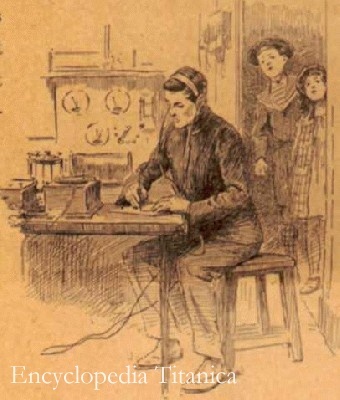 He remained at the Godalming Post Office until March 1906 when he left for the to undertake further training at the Marconi Company's Wireless Telegraphy Training School at Seaforth Barracks just north of Liverpool. 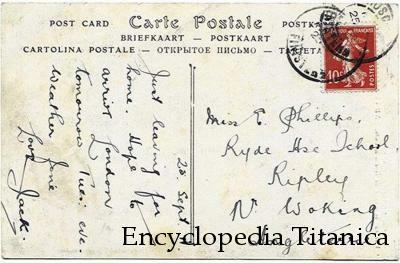 He graduated in August 1906 and received his first post as an operator aboard the white Star Liner Teutonic. For the next two years he sailed on various liners including the Lusitania and Mauretania until 1908 when he was given an operating post at the Marconi station just outside the small town of Clifden, on the West Coast of Ireland in County Galway. There he served as an operator, transmitting and recieving messages from the Marconi station in Glace Bay, Nova Scotia. Towards the end of 1911 Jack returned to sea on the Adriatic and remained with her until Christmas. In the New Year he once again boarded his favourite ship, the Oceanic sailing from Southampton to New York. On returning to England in March 1912 he received his orders to travel to Belfast and join the Titanic. 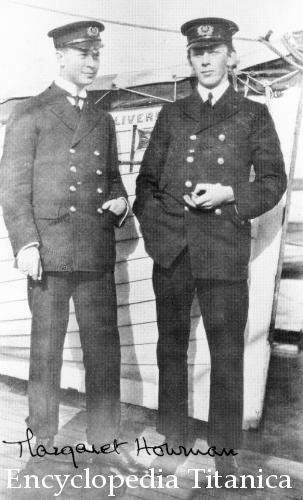 Some have stated that Jack was acquainted with the other Wireless operator Harold Bride before they sailed on the Titanic, but Bride himself confirmed that they had never met before this point. 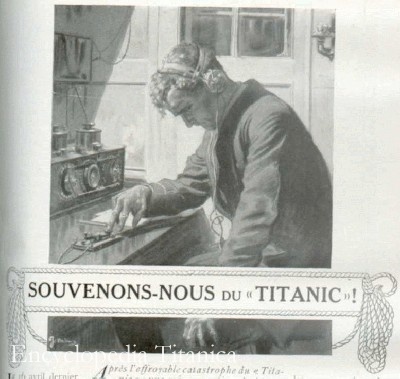 The wireless was kept busy with commercial traffic after the Titanic sailed from Southampton 1 and the equipment was damaged as a result. Harold Bride estimated that 250 messages were transmitted in the run up to Sunday night. Jack was turning in for a long awaited rest when the collision came about, and was just about to go to sleep when Captain Smith arrived in the wireless cabin. Once Smith had issued the order to send for help Jack remained at his post sending out the both the CQD and the SOS signals, taking short breaks to go and observe the situation outside. He sent Harold Bride to and from the Captain with regular updates as to the progress of the Carpathia until shortly before the sinking when Smith visited the wireless room to release themfrom their duties. Both operators left at the same time, Bride going forward to help with collapsible B, and Jack probably running aft. It is not known how Jack left the ship but one way or another he found himself clinging to the same collapsible as Bride and Second Officer Lightoller. Sources say he was conversing with the latter into the small hours about the various ships that could be on the way. 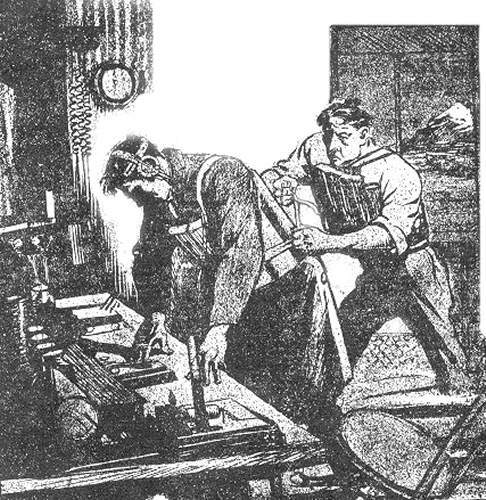 Conditions on the upturned raft were harsh and as Harold Bride stated Jack was being relieved two hours early at midnight because he was exhausted after a heavy day transmitting traffic and repairing equipment. Under the circumstances it proved too much and Jack Phillips died sometime before dawn. Back home in Godalming the community rallied round and the result was the Phillips Memorial, the largest Titanic memorial in the World. 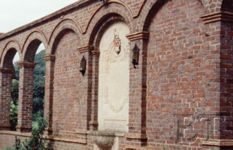 It consists of a cloister, an open field, a field of wild flowers, and a walk along the River Wey. John P. Eaton & Charles A. Haas (2000) Titanic: A Journey Through Time.